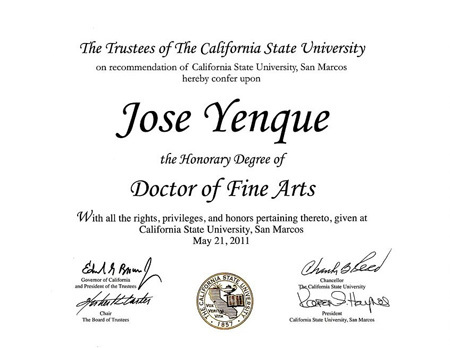 Jose Yenque receives the HOLA Ilka Humanitarian Award on Monday, October 18, 2010. Click here for event webpage. 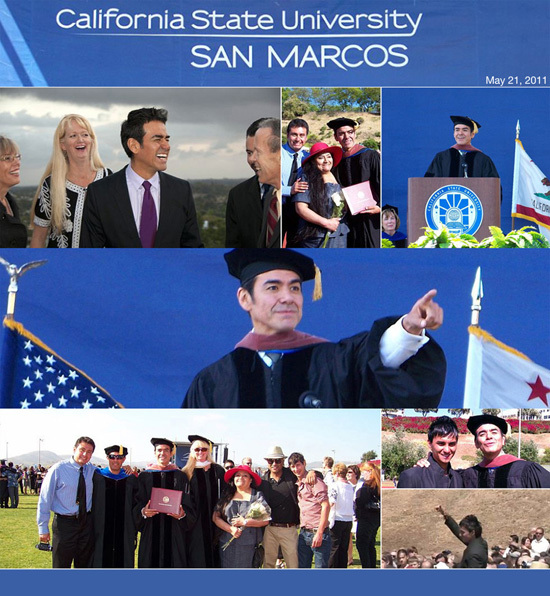 Presented at The McMahan House at Cal State San Marcos. 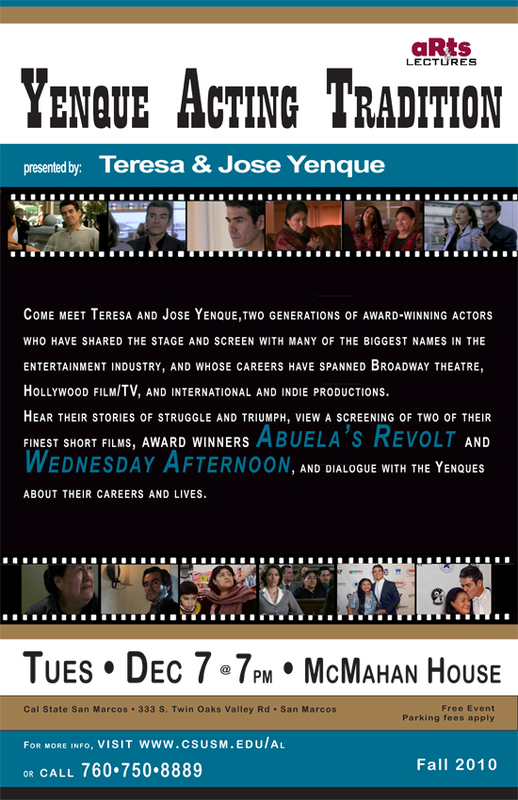 Come meet Teresa and Jose Yenque, two generations of award-winning actors who have shared the stage and screen with many of the biggest names in the entertainment industry. Their careers have spanned Broadway theatre, Hollywood film/TV, and international and indie productions. Hear their stories of struggle and triumph, view a screening of two of their finest short films (award winners Abuela’s Revolt and Wednesday Afternoon), and dialogue with them about their careers and lives. There is no right or wrong in the world that Miguel, an East L.A. teenager, and his father live in, only choices. One’s an American, the other an immigrant, and though they are son and father, they are separated by a culture that threatens to tear them apart.